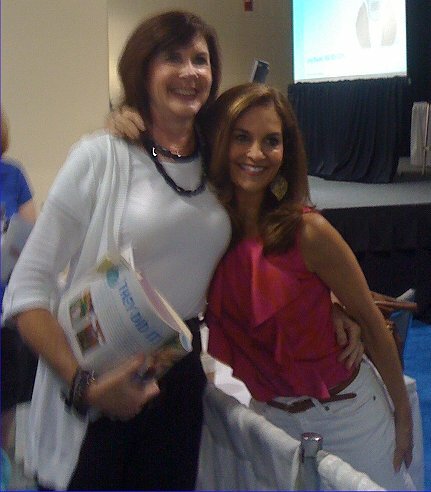 ﻿ In June I saw Joy Bauer in person at the Boston Health & Fitness Expo and listened to her motivating talk on getting healthy and living a healthy lifestyle. I've always liked Joy's segments on NBC's Today Show and have enjoyed her nutrition advice through her Woman's Day column and Slim Down Plan!. 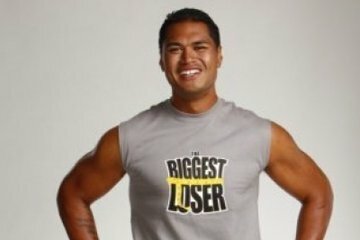 Now Joy is co-sponsoring this "Fast Track to Health Giveaway" with SpaWeek.com and the Biggest Loser Resort and it is an incredible! 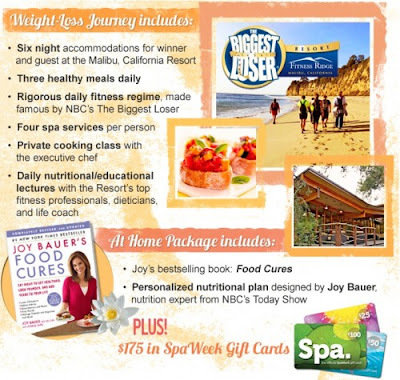 If you don't know about this giveaway yet, friends, you need to check it out because the "ultimate weight loss journey for one deserving winner" is the very cool prize and includes a six night stay at the Ranch, three meals a day, spa services, a private cooking class with the Executive Chef of the Resort, a nutritional plan developed for you by Joy Bauer, and more! The details are below and you'll need to go to SpaWeek's Facebook page to enter the Fast Track to Health Giveaway. LOL True! You're close enough so you could drive, too, Mel! :) It would be awesome if you were to win!!! I just entered! OHHH That would be an amazing prize to win!Thanbk you for sharing the contest! I just entered the contest. Are they giving you a free trip to the resort since you are promoting it? That would be so cool. A few weeks ago when I posted this on the blog we had no idea that Sam Poueu would suffer a devastating accident. Last Friday (9/2) Sam took a very bad fall, reportedly from a building and is - a week later - still in Intensive Care in the hospital. Reports are that he is showing signs of improvement but has a long battle ahead and faces critical surgery tomorrow (Friday, 9/9). If you believe in the power of prayer or in sending good thoughts and positive energy, it would be nice to do this for Sam. As you may know Sam and Steph Anderson, another BL9 contestant are engaged. I'm sure both families could use the surrounding love sent to them. God speed Sam's recovery.